The best treatment for flue? 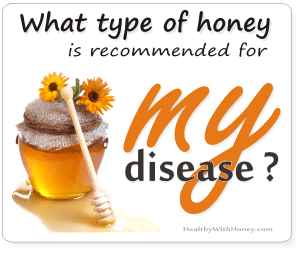 Manuka honey can help you here! Manuka honey fights influenza virus. It’s efficient and has zero side-effects. It’s hard to find the best treatment. Flue virus is mutating all the time and synthetic drugs can’t keep up. But a combination of natural products (even with some drugs to ease severe symptoms like fever) can be the right choice. Fall has come with its ugly winds, low temperatures, colds and flue. The season of viruses. Their world. Influenza viruses are a serious threat to human health and cause thousands of deaths annually. These days, there is no TV channel that doesn’t drive you crazy with flue vaccines. If only it were that easy! But is not. Vaccines are a controversial subject. Some people say it worked for them, while others swear they hadn’t been more sick in their entire life as after getting this vaccine. Their stories are somewhere between tragic and hilarious and instead of helping you take a decision, they only confuse you more. Vaccines contain chemicals which are not good for our bodies. Aluminium, mercury, pesticides even embalming substances and so many others have been found in their composition. It’s risky. A person needs to test first its already existing levels of aluminium in his body to be sure he doesn’t exceed the limit the body can handle. On the other hand, coming back to vaccines’ efficiency, despite the fact that they are produced after improved and updated formula, they are still one step behind the current viruses. Because they are continually adapting and mutating, becoming superviruses with every season, exceeding the range covered by current vaccines. The good news is that viruses, as any other microbe, cannot get resistance to natural products. There are natural products able to fight any Supervirus that stick its ugly head out of all the chemicals we put in ourselves. And one natural product that can help the body in fighting viruses is honey. Honeys with high antioxidant power, such as buckwheat honey, blueberry honey, strawberry tree honey, blackberry honey, chestnut honey, heather honey or manuka honey. • The study Anti-influenza Viral Effects of Honey In Vitro: Potent High Activity of Manuka Honey conducted by Ken Watanabe from Nagasaki University, Japan, and published in 2014, evaluated the anti-influenza viral activity of honey from various sources. Theory says that influenza viruses are enveloped, negative-strand RNA viruses with a segmented genome and belong to the Orthomyxoviridae family. Two subtypes of the influenza virus A and B cause influenza in humans. Influenza A virus mutates easily, thereby often resulting in the emergence of new antigenic variants of each subtype. In 1997 it was H5N1, a highly pathogenic avian influenza viruses, in 2009 it was the pandemic virus H1N1, and recently, human infection with avian influenza virus (H7N9) has been reported. And though anti-viruses drug were made, they have side-effects and the viruses gain resistance rapidly. – polyketide leptomycin B from Streptomyces spp. – the alkaloid -thalimonine from Thalictrum simplex L.
– Alchemilla mollis extracts suppress the growth of influenza virus because of its virucidal activity. The down side of these products is that they are toxic. 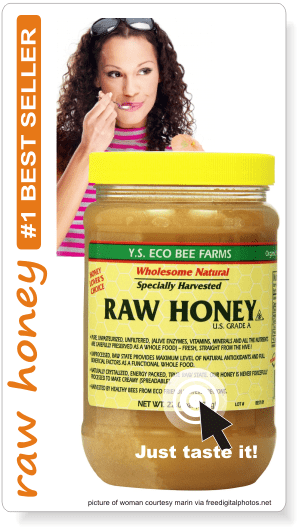 Natural raw honey is antibacterial and antifungus. Studies say that honey shows broad spectrum activity against gram-positive and gram-negative pathogenic bacteria and fungi, including methicillin-resistant Staphylococcus aureus (MRSA), Shigella sonnei, Helicobacter pylori, and Candida albicans. But studies have also shown that honey also exhibits antiviral activities against rubella virus (23) and varicella-zoster virus (VZV). It is also used to treat recurrent herpes simplex lesions, (propolis is also recommended). Manuka (UMF15+), buckwheat (Fagopyrum esculentum; sobabuckwheat), kanro (honeydew), acacia (Robinia pseudoacacia), and renge (Astragalus sinicus) honeys. The results indicate that manuka honey has the strongest anti-influenza viral activity among the honey samples tested. Even more, the data suggested that manuka honey was more effective against influenza virus than against VZV (varicella-zoster virus) or bacteria. 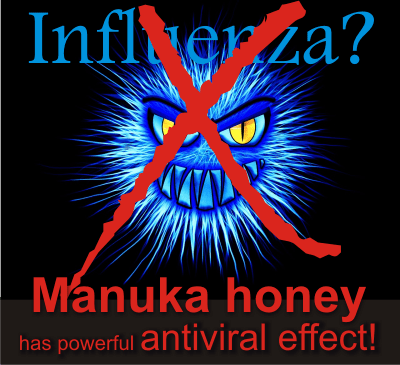 Although manuka honey was less potent than zanamivir against influenza virus, the study showed that a combined use of anti-influenza drugs with manuka honey resulted in synergistic anti-influenza virus effects. 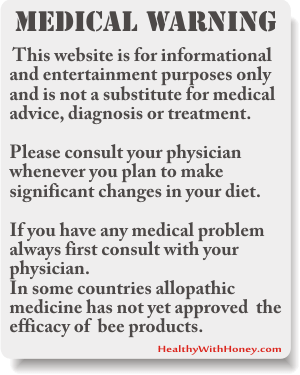 (also see Take your medicine with honey. It will enhance its power!). The same synergy is observed between antibiotics and manuka honey in the inhibition of MRSA. Though the study was done on H1N1, the virucidal activity of natural products have broad-spectrum, so manuka honey is expected to be effective against H5N1 and H7N9 viruses, or other expected future viruses. The results obtained in the study showed that honey, in general, and particularly manuka honey, has potent inhibitory activity against influenza virus. • Charyasriwong S et al. evaluated in a study from 2015 the anti-influenza viral activity of MGO, present in high amounts in manuka honey and its potential in combination treatments with antiviral drugs (neuraminidase inhibitors). MGO showed promising activity against various influenza strains. A synergistic effect of MGO and oseltamivir was also observed against oseltamivir-resistant virus. Conclusion: The results of the study shows that MGO has potent inhibitory activity against influenza viruses and also enhanced the effect of neuraminidase inhibitors (antiviral drugs). Thus, the co-administration of MGO and neuraminidase inhibitors should be considered for treatment of influenza virus infections. Vitamin D3 , Iodine from Kelp., ATP-20 , Colloidal Silver , Olive Leaf Extract, Oregano Essential Oil, Propolis extract. And, of course, Vitamin C, not just any but Vitamin C in liposomal form. It’s best absorbed. 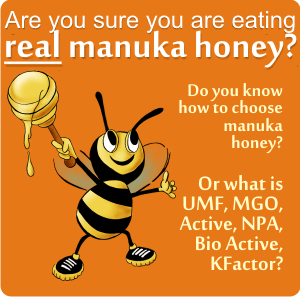 How to take manuka honey to fight the flue? UMF 10+, or 15+ are recommended. Even a higher grade. 3 tablespoons per day, with 30 minutes before meals. Or mix it in a tea and add lemon juice. Take it for 10 days. And then, you can reduce the dose. 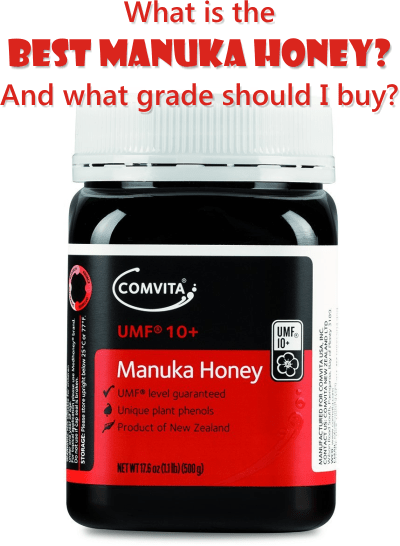 Read more about grades and real, genuine manuka honey. Really love your site. 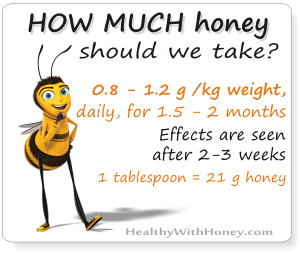 I was wondering if you could write a post about the safety of honey/bee products in pregnancy? If i understand correctly there is not sufficient data, but you might have more info on that. As for the safety of manuka honey, you can eat table grade manuka (because it has a low amount of MGO) but avoid the others. Take it only in extreme cases, such as the flue, when every natural product, that can fight the virus and replace synthetic drugs, is very much welcomed. But do eat honey every day. Take propolis is colds and enjoys your pregnancy. After your baby is born do not give him/her honey, as the digestive system is not ready for honey until it is 12 months old. I will consider writing a post on this subject, thank you for the idea.